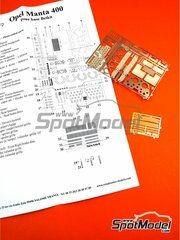 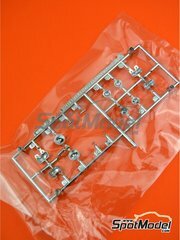 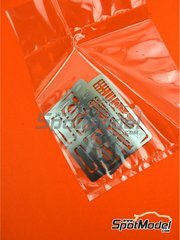 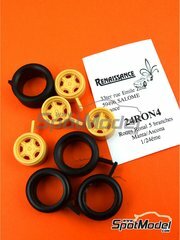 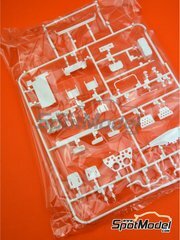 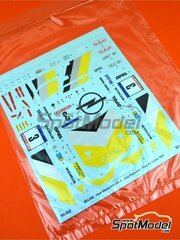 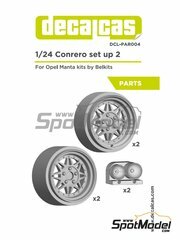 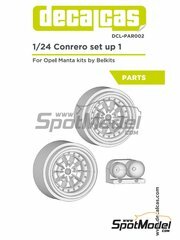 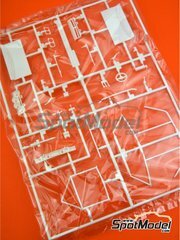 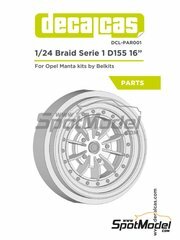 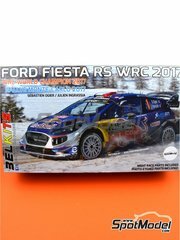 Manufactured by Belkits in 1/24 scale with reference BEL008-SPRUE-F.
To be used with Belkits references BEL008, BEL-008, BEL009 and BEL-009. 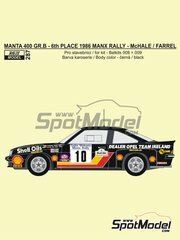 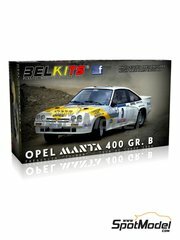 Package measures 205 mm x 280 mm x 15 mm (width x depth x height), weighting 44 g.
The Opel Manta 400 was designed, developed and built to replace the Opel Ascona 400. 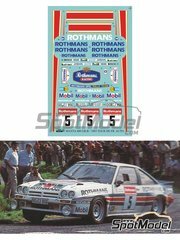 It was approved for Group B on May 1, 1983, after being able to demonstrate to FISA that the mandatory 200 units had been built. 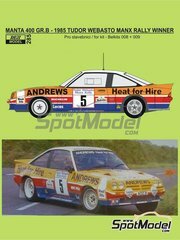 The engine was the same 2.4-liter engine created by Cosworth for the Ascona 400 and developed from the Opel Record diesel block. 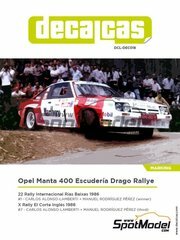 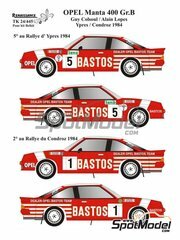 Its first victory arrived in the 1983 June Hessen Rally at the hands of Erwin Weber, and since then the victories in national events did not stop happening.